Welcome to Symbiosis International (Deemed University), Lavale,Pune. 21 & 22 September 2018. 31st Aug & 1st of Sept, 2018. Dr. V. Eshwar Anand, beloved professor at Symbiosis Institute of Media and Communication, passed away on December 30, 2017. 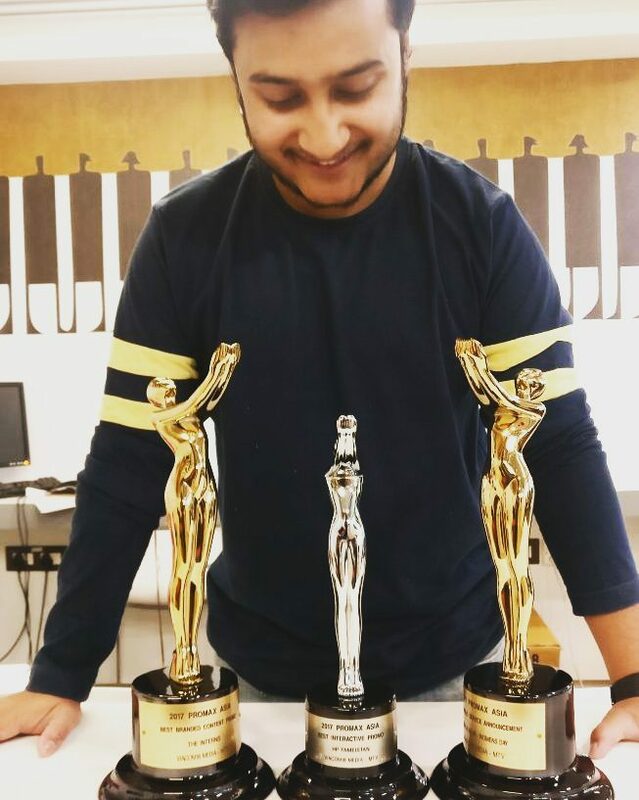 Shayak Roy, an alumnus of Symbiosis Institute of Media and Communication from batch 2013-15, has won two Gold awards and one Silver award for his projects with MTV.com at the PromaxBDA Asia Awards, Singapore, 2017. Harshada Sawant, an alumnus of SIMC (batch 2001-03), has been honoured with the prestigious ‘Ramnath Goenka Excellence in Journalism Award’. SIMC inducted its 27 th batch of students in the first week of June, 2017. As a part of orienting them towards the industry, an interaction was organized for the students with stalwarts from the media and communication sector on June 09, 2017. The session was opened by Mr. Dhunji Wadia, President -Redifussion Y&R. Other speakers included Ms. Dhanya Rajendran, Managing Editor-The News Minute, Mr. Shekhar Banerjee, COO-Madison Media and Mr. Bhaskar Shitole, VP- Creative Industries, Prime Focus Technologies. The session was an enriching one for the students. Each of the speakers had unique insights to share with the students based on their actual experiences in the industry. From the cut throat advertising industry to the hard hitting world of journalism, a variety of topics were discussed by the industry experts. It was a highly interactive session, where the students put up bright, fresh questions to the guests, who in turn appreciated the inquisitive spirit of the new batch and addressed their queries with equal enthusiasm. The knowledge gained by students in this session was, perhaps, a crucial factor in aligning the outlook of the budding managers to the realistic working of the corporate world. Shayak won the Gold for ‘The Interns’ and ‘Mukka Maar’ and Silver for the launch film for HP ‘Fameistan’. Shayak currently works with Viacom18 Media Private Limited, and describes himself as a ‘film maker, copywriter and a creative soul’. Truly so, now that his creativity has been recognized at such an esteemed platform. The PromaxBDA Asia Awards honour finest work in television promotion, marketing and design for Asia region. We wish Shayak the very best in his forthcoming journey! As the induction period for the new batch drew to a close, the students were given an opportunity to interact with the alumni of SIMC. This was a significant session for the new batch as they got to understand the reach and presence of SIMC in the industry. 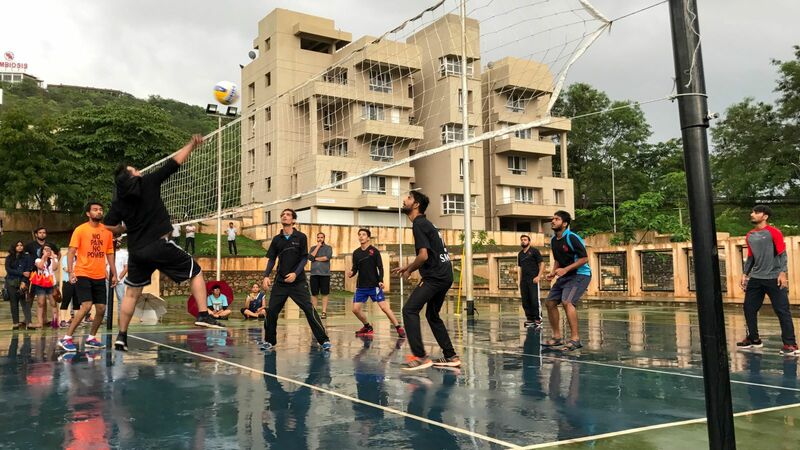 It was also a platform for the alumni and students of the new batch to bond with each other. The students had a lot of questions for their alumni related to both, the industry as well their hostel life. The students were candid about their thoughts with their seniors in the industry, and were excited to get to know the nuances of the corporate world from ‘ones like them’. They were most fascinated listening to the stories and experiences of their alumni when they themselves were students, long back. It was a nostalgic session for the alumni; it was a session full of hopes & aspirations for the new batch, who drew inspiration from their seniors. 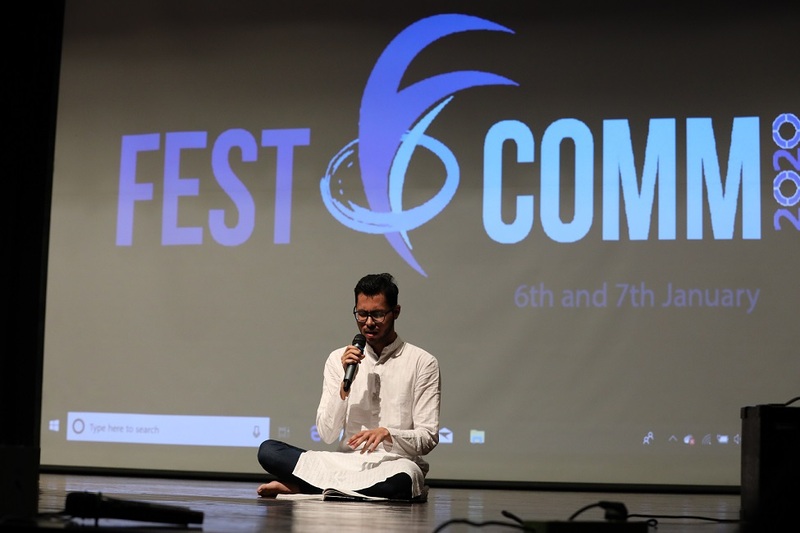 The SIMC Film Festival ‘SIMCuts 2018’ which had some sessions of people from industry, film screenings and mobile filmmaking competition was held at the Lavale campus of Symbiosis Institute of Media and Communication on the 15th of September, 2018. The day-long event started in the presence of guests, that included Sohail Khan, Marketing and Operations Expert from The Viral Fever,& Eddei Avil and Ashley Rodrigues from VR Storytellers. Sohail Khan, spoke from his 7 years of experience in marketing and operations at The Viral Fever about the evolution of Internet and OTT business from late 90s to till date. He talked about YouTube business and the type of content on YouTube. He also shared the strategies that TVF followed to promote TVF Play using YouTube. Eddie Avil shared his inspiration for VR and what makes VR the platform of the future and spoke about how he began his career in VR Industry. He spoke about the big names in the industry who are working on the Virtual Reality platform. He enlightened students to some of the technical terms including the infrastructure required to make VR Films. Ashley Rodrigues gave the audience inside stories of what went into producing the first VR stereoscopic horror film. He talked about the challenges they faced and challenges they are facing to screen it commercially. The second half of the day was marked by the screening of the film Ribbon - By Rakhee Sandilya. Rakhee is an Independent Filmmaker who studied filmmaking from London. The film was about the relationship of husband and wife, the challenges they face in life. After screening of film Rakhee shared her experiences in the making of the film, how she finalised the cast, what all topics about life she wanted to show in the film and about the writing process of the film. Next film that got screened was POV - By PrabhakarJha. The film was a physcological thriller. After screening the director talked about his experiences and what inspired him to make a film. This was followed by the screenings of films that were shortlisted by jury for the Mobile Filmmaking Competition with the theme Antagonist Centric. After all the screenings the winners of the competition were announced and the day concluded with the vote of thanks by Dr. Gagan Prakash. Symbiosis Institute of Media Communication, Pune hosted its corporate interface summit, COMVISAGE, on the 31st of August and 1st of September, 2018. The theme of the summit for this year was ‘Resonate. Create. Reflect.’ which managed to capture the essence of managing media and communication. The event was an amalgamation of eminent C-level speakers and workshops on industry relevant topics. The speaker sessions and workshops were organised based on the flow of the theme. Mr. Girish Narayandass, Head Writer, AIB spoke about AIB and its resonance with consumers and content creation based on it. Mr. Rohit Raj, Co-founder and Chief Creative officer of Glitch, who is an alumni of SIMC, talked about his journey. The first workshop was on influencer marketing by CreatorUp, a digital creative studio based in Los Angeles. Another workshop on design thinking by Digital Impact Square, an initiative by TCS was conducted too. With Social Samosa as the third workshop partner, the first day was a holistic experience of understanding both resonance and creation. The second day focused upon understanding the growth of brands with Mr. Anubhav Modi, Associate Director (Finance) at BIRA 91, who talked about the journey of the company. Mr. Sameer Pathak, General Manager, Coca Cola India Inc Enlightened the students on his brand’s steady journey. Ms. Geetanjali Bhattacharji, Chief Evangelist, New initiatives at Infinite Analytics educated the students about the importance of communication and content and how it should connect to consumers. Fundtonic, Terragni consulting and Frost & Sullivan conducted workshops on Start Up incubation, Customer Experience Management and Multi screen marketing respectively. “With the workshop at Comvisage 2018 students will learn the essentials of adapting and scaling a Performance Marketing Mindset” said Mr. Hitesh Rajwani, CEO, Social Samosa. The event led To a deeper understanding of consumer behaviour, content, media vehicles and the evolving marketing funnel. Symbiosis Institute of Media and Communication, Pune organized a two-day ‘International Conference for Media and Communication’ (ICMAC) on September 21 and 22, 2018. The conference boasted of international academicians as keynote speakers. On the background of ever-changing media landscape around us, ICMAC focused on ‘New Media’. It was aimed at bringing academicians, researchers and practitioners on a common platform to share, discuss and debate multiple aspects of new media. Dr. Anabel Quan-Hasse from the Western University, Canada, Dr. Kaitlynn Mendes from the University of Leicester, UK and Dr. Kevin Sanson from the Queensland Technological University, Australia, were the key-note speakers for this conference which dealt with a wide expanse of issues like digital journalism, effects of new media on branding and consumer behaviour, OTT platforms, virtual reality, new-media driven innovations and business practices, sociology of new media and many others. Besides the keynote addresses and paper presentations, ICMAC featured two unique practices. It offered a separate ‘emerging scholars’ section where post-graduate and PhD scholars could participate. The aim was to encourage and mentor young researchers in this field. Apart from this, there was a line-up of excellent pre-conference sessions conducted by the distinguished international speakers, where they spoke in great detail about latest issues in their respective fields. Karan Anand, an alumnus of SIMC Pune, has won the Ace Communicator Challenge at PRAXIS 2017 (6th edition). He has won an all expense paid trip to Miami for attending PRovoke 2017, which is a global summit of PR practitioners. Provoke is a platform where best PR campaigns are showcased and rewarded. PRAXIS is the ‘Public Relations And Corporate Communications India Summit’. It is the world's largest festival of Reputation Management professionals (also known as Public Relations practitioners). The summit first started in 2012. SIMC congratulates Karan for this wonderful achievement! Dr. Ruchi Jaggi, Director of Symbiosis Institute of Media and Communication, Pune, was awarded with ‘The Dewang Mehta National Education Award’ on September 26, 2017. She received the award in the category of 'Women in Education Leadership' for her extraordinary contribution towards education and academic research. The award was presented by Business School Affaire and Dewang Mehta National Education Foundation. The Dewang Mehta National Education Awards are India's largest Education Awards Contest and are held as a part of World Marketing Congress. The Education Leadership Award is intensely researched, with Jury consisting of senior leaders, researchers and academicians. We congratulate Dr. Ruchi Jaggi for this extraordinary achievement, and hope that she continues to inspire and lead SIMC the way she has always done. Dr. Anand was a senior journalist and educator. He had about 24 years of experience in journalism and six years of experience in academics. He had worked as Senior Editor at Indian Express, Deccan Herald and The Tribune. At SIMC, he was an integral part of the Journalism course, as well as the Controller of Examination. He was a distinguished member of the Academic Council and Board of Studies. He was a popular faculty and colleague among members of the SIMC family. SIMC has truly lost a gem of a person. Dr. Anand always had a sunny disposition; with his child-like innocence, he was a person who never hesitated to smile. His activeness and meticulousness were exemplary. His demise has left a huge void at SIMC. Try as we may, we will never be able to fill it. Dr. Anand will always be fondly remembered by everyone. He lives on in our memories. Harshada Sawant, an alumnus of SIMC (batch 2001-03), has been honoured with the prestigious ‘Ramnath Goenka Excellence in Journalism Award’. Harshada is Associate Editor at CNBZ Awaaz. The award was presented to her in the category of ‘Business and Economic Journalism- Broadcast Media’ for her ‘Innovation Yatra’ series on the news channel. Harshada was presented this award by Vice President M. Venkaiah Naidu. During the journey of ‘Innovation Yatra’, Harshada and her team travelled across five states in India, discovering promising, innovative entrepreneurs. They covered stories on more than thirty-five innovators in eighteen days across seventeen cities. The ‘Ramnath Goenka Excellence in Journalism Awards’ recognize exceptional work done by committed journalists for their contribution to the society in various fields. This year’s 12 th edition of awards celebrated twenty-seven journalists in twenty-five categories across print and broadcast media for notable work done during 2016. Symbiosis Institute of Media and Communication is association with the Bosch foundation and the University of Tuebingen, Germany, hosted nine German Journalists for a week-long orientation program in the month of September 2018. People from academia and media addressed visiting journalists on issues related to Politics, Business, Human Rights, and Media in the Indian context. SIMC alumnus Rajeev Ranjan, Director of Branded Content at Mindshare, won a Gold in the ‘Young Gun of Content’ category at the recently held Indian Content Marketing Awards (ICMA) organized by exchange4media in Mumbai. Rajeev has been a student of the 2012-14 batch at SIMC. The agency where he works, Mindshare, also stood out at this event with a total of 10 medals, which included 1 Gold, 5 Silver and 4 Bronze medals. They also won the Platinum Award for their accomplishments. Rajeev had recently visited the institute to conduct a workshop on content marketing, which was very well received, considering Rajeev shared his experiences on the evolving field of ‘content’. He had also spoken about the disruptions in traditional advertising approach. SIMC is proud of Rajeev for this achievement! A two day ‘Communication Summit’ was organized at SIMC by the Corporate Interface Team on the 8th and 9th of September, 2017. The aim of this summit was to provide industry insights to the MBA (Communication Management) students with respect to various trends in the field of communication in recent times. The theme for this event was ‘Stories from the field’. On the opening day, Mr. Rajeev Ranjan, (Director, Branded Content, Mindshare), also an alumnus of SIMC, conducted a workshop on Content Marketing. He spoke about the evolution of content marketing and the disruption that is being created in traditional advertising. On the second day of the event, eminent professionals, distinguished in their respective fields, came together to talk about their unique experiences in the industry. Each of the speakers represented one of the four specializations being studied by the students at the institute. Mr. Basant Rathore (Senior VP, Strategy, Business Development & Brand - Jagran Prakashan Ltd) represented the industry expert for the Media Management. Mr. Mukul Varshney (Director, Corporate Affairs - John Deere India) was the esteemed representative for the Public Relations vertical. On the other hand, the very interesting field of Marketing and Media Analytics was dealt with in detail by Mr. Chandramouli Nilakantan (CEO - TRA Research & Blue Lotus Communication). An enlightening and engaging talk on Brand Communication was given by Mr. Subramanyeswar S. (Chief Strategy Officer, Lowe Lintas). The sessions proved to be very enriching and highly useful for all students, who will themselves begin their journey in these sectors soon! A discussion on alternative media and its challenges in the Indian environment was held at the Lavale campus of Symbiosis Institute of Media and Communication on the 18th of August, 2018. The day-long event started at 10 am in the presence of the guests, that included Sevanti Ninan founder of the The Hoot, Pankaj Jain from Social Media Hoax Slayer. Govindraj Ethiraj, from IndiaSpend, one of the four winners of the McNulty Prize this year along with Jaskirat Singh Bawa of the Quint were the other eminent guests and speakers on this occasion. The idea was to create an open forum and change the context a bit so that people could talk freely about issues related to news today. Sevanti Ninan spoke from her experience of 17 years of running The Hoot, and about the evolution of Indian media through the years. Govindraj Ethiraj spoke about how he was inspired to begin IndiaSpend after the Anna Hazare movement. His approach to data journalism was defined by figures and emotions. Ethiraj who also runs fact checking sites like the Fact Checker and Boom also cited examples that showed how public rage with a clouded vision obfuscates public policy. The second half of the day was marked by the panel discussion between the speakers. The session allowed the group to expand on several subjects like business models of online news organizations and the importance of breaking news.